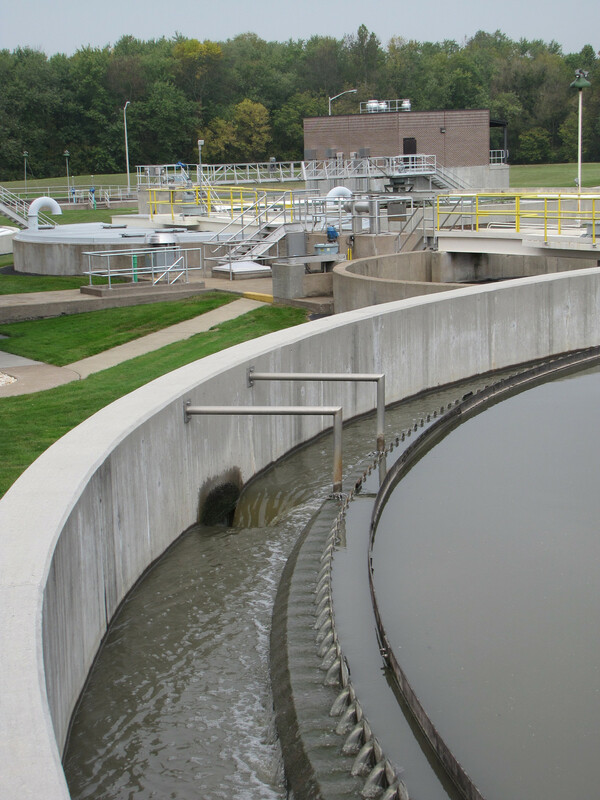 The Clearwater Road Wastewater Treatment Facility, with a capacity of 5.02 million gallons per day, was placed into operation in 1977 and was expanded and upgraded in a project completed in 2005. This facility, which is located off Hersheypark Drive and discharges to the Swatara Creek, is capable of removing more than 95 percent of the biochemical oxygen demand and suspended solids, total nitrogen to a level of approximately 3 mg/l and total phosphorous to a level below 1 mg/l. Major structures at this facility include: Administration and Control Building including analytical laboratory; raw wastewater pumping; screening and grit removal, primary clarification; primary effluent equalization; complete mix activated sludge using primary anoxic, oxic, secondary anoxic, and re-aeration processes for total nitrogen removal; ferric chloride addition for phosphorous removal; final clarification; and ultraviolet disinfection. Residual solids generated at the facility are processed using gravity thickening (primary sludge), floatation thickening (waste activated sludge), blending, and anaerobic digestion. Liquid digested sludge is dewatered using a centrifuge or belt filter press to produce a cake. The cake is then dried in a pasteurization-like process to produce Class A, exceptional quality granular product known as Clearwater SteadiGro. This product is marketed and sold to end users as a fertilizer product. The anaerobic sludge digestion process generates large quantities of methane (biogas). Currently the biogas is used for building and liquid digester sludge heating, production of steam to dry the cake into the SteadiGro granules, and as fuel for the cogeneration facility which generates electrical power for use in the plant.